Recently, MINI USA signed on as a sponsor of the famed Head of the Charles Regatta. Always one to make things interesting, Mini's marketing activation wowed the audience of over 9,000 athletes and 300,000 spectators with this floating mini convertible. "We challenged our regional staff and the dealers in their respective areas to identify 'Not Normal' ways to celebrate this Motor-Tober by engaging the MINI community and demonstrate why it's an exciting brand family to be part of," said Tom Salkowsky, Marketing Manager - MINI USA. 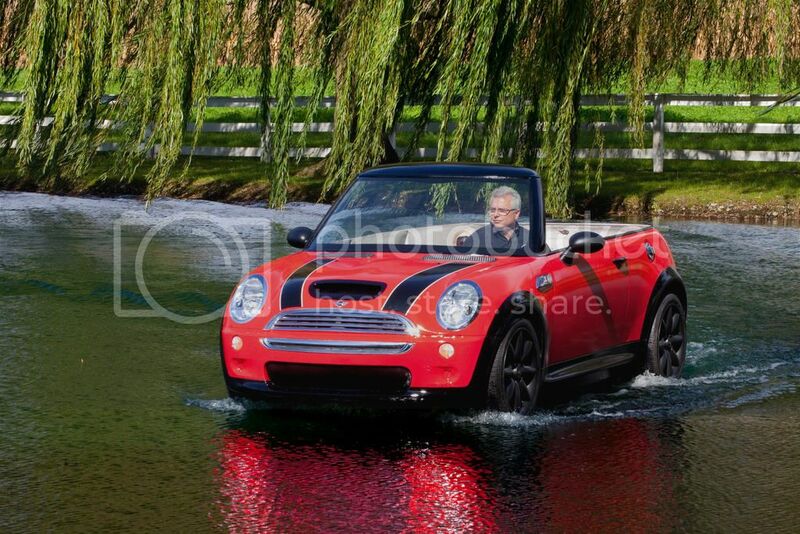 "The MINI USA Eastern Region has created the perfect example of what the Motor-Tober Not Normal Sales Event is all about with the MINI Convertible boat." The car/boat was powered by a 6 hp outboard motor, and operated by the HOCR River Control Committee to monitor the safety of the rowers. The boat's hull was accessorized with authentic MINI parts, including headlights, taillights, grille, steering wheel, badges, wheels and tires.Mini says that the boat will be used at other sponsored events in the future. ""We are pleased and excited to support MINI in this creative activation strategy and look forward working with them," said Fred Schoch, executive director of the event. "We have never before allowed a company to float a car on the Charles during racing." This is just the latest in a long line of auto adaptations the brand has made for special events including the MINI that hauls track equipment for the Olympics and the MINI space shuttle for NYC's Halloween Parade.